At BEA, veteran publicists offered various strategies and tips for promoting books with no clear author or the the author is not available or even dead. 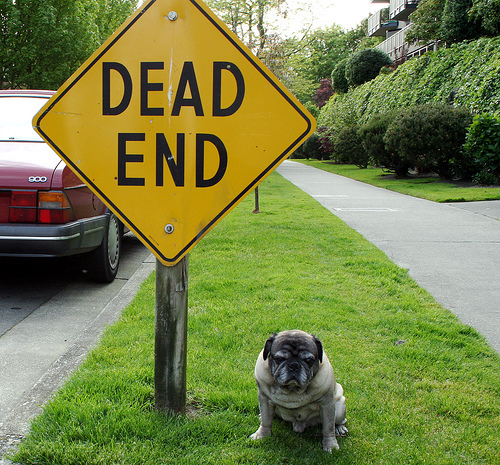 What do you do when you’re planning an author’s marketing campaign…but there’s no author on hand to promote the book? Either they’re far-flung, or perhaps there is no writer, but rather a group of them, or perhaps its something even more complicated…they’re dead. A panel at BEA last week sought to ponder these problems using a couple of strong case studies. 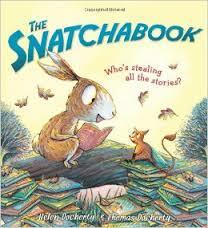 When Sourcebooks picked up The Snatchabook, written by the U.K.-based couple Helen and Thomas Docherty. “We knew it was going to be a classic,” said their Marketing Manager Valerie Pierce. However, they were in a pickle because the writer and illustrator were overseas, making traditional book promotion impossible. 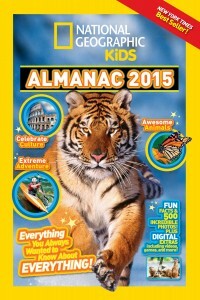 Likewise, Ruth Chamblee, Vice President of Retail Marketing of National Geographic Society, had to work around the fact that their very popular annual NG Kids Almanac didn’t have a single author to showcase in publicity. Plan your budget and spend wisely. Sourcebooks allocated rather a lot of money (over $12,000) into lovely totes that were a hit at BEA 2013. They were so popular that they were seen around the floor once more this year. “We’ve more than made up for the money we spent. By far…by far,” said Pierce. Build up internal momentum. Editors and marketers alike read galleys to their kids and gave them to their teachers. Enthused kiddos were invited to a company meeting to say why they liked the book. Have ARCs available for BEA and be selective about where ad dollars go (in Sourcebook’s case they allocated funds for a full page in Publisher’s Weekly). Get creative with social media. Snatchabook editors were stuck in a snowstorm but had to pick up art for the book before it went to print. They were on a very tight deadline and so they walked over a mile in the snow to get it and back again. Opportunistic as they were, they took photos along the way to post online. “Make the marketing campaign a story in and of itself,” said Pierce. Creative marketing team also came up with a cute campaign asking editors and other staff to figure out which of their favorite stories they’d hide from the Snatchabook. They posted those messages on Facebook, Twitter, and Pinterest. (And speaking of Pinterest, if you’re working with illustrated books, Pinterest is a fabulous campaign extension since it’s so visual). Keep your ears to the ground about what others are doing with your book. One teacher loved the book so much that she created a Common Core guide for it. The Docherty team video recorded individual messages of “thanks” to bookstores and librarians if they blurbed, an initiative that was not too time consuming for them, free for the marketers, and much appreciated by the blurbers. Be active in the awards season. It raises awareness and gets your title in the pipeline for prizes. “You can use the book’s editor to do a modern day author tour—by radio,” says Chamblee. “Your spokesperson can reach millions of consumers in major markets all across the country in a single morning, all from the comfort of their home…and no one will know if they’re wearing pajamas!” Another tool that Chamblee loves to use, whether they have a spokesperson or not, is broadcast promotional advertising. “For a fraction of the cost of traditional advertising, you can have a trusted, on-air personality become your spokesperson and basically perform your prewritten ad, while giving away some of your books to their callers—which of course has its own benefits. We’ve often found that if the host likes your book, he or she will go beyond your script and give you priceless, bonus commentary and air-time. Sometimes it might be appropriate to create a virtual spokesperson if there’s no author onhand. For The NG Kid’s Almanac, they’ve built a website with tons of activities for kids that ties into the book. The goal is to keep momentum at a high, year-round. “One way to do this is to create a year-long marketing plan that incorporates some element of publicity, advertising, broadcast outreach, social media, or special promotion almost every month. Second, we take advantage of and create seasonal sales opportunities by laying on heavier and differently targeted marketing during peak selling windows: summer reading; back to school; holiday,” explained Chamblee. One member of the audience asked the question, “What if your author is dead?,” and Tracey Daniels, founder of children’s books and graphic novel publicity company Media Masters Publicity, had some ideas. “Often, literary estates will have a spokesperson,” she suggested. Use them. “Have a prominent personality write the forward and use it for blurbing purposes.” Deputize a books’ editor to advocate for the book on radio spots and make them available for publicity interviews. Don’t hesitate to invest in a little media training—a little can go a long way in expanding their on-air comfort zone.